Cat@lyst is Tattoo's corporate social responsibility initiative in partnership with the Global Shapers Manila Hub that envisions today’s youth to cause a chain reaction of positive action to make a difference in society using modern technology. Today’s youth is full of creativity and innovative ideas, so they are encouraging YOU to take part in making concrete and feasible solutions to the problems of your community, with Global Shapers acting as mentors. Some of the Global Shapers are Tattoo ambassador Bianca Gonzales; Save Philippine Seas co-founder Anna Oposa; San Vicente, Palawan Mayor Pie Alvarez; doctor and researcher on neglected tropical diseases, Harvy Liwanag; and Mano Amiga Academy co-founder Lynn Pinugu. You must be a Filipino citizen aged 18-30 to join. 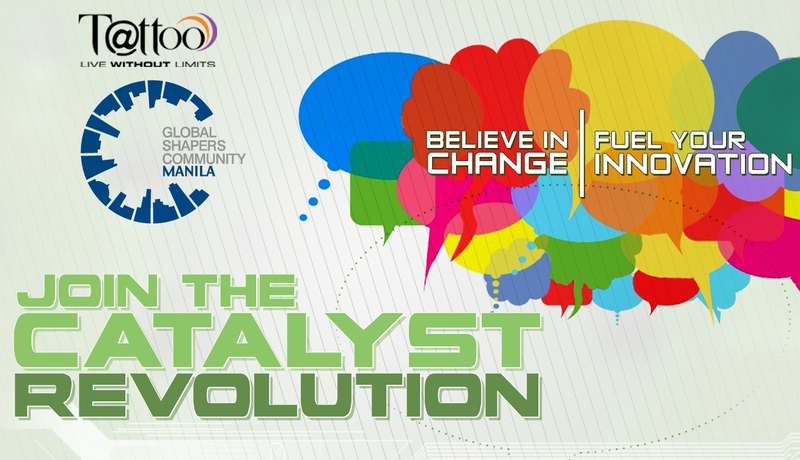 Download the application form at http://www.catalyst.com.ph. A P200,000 cash grant will be awarded for program development, mentorship, and ICT support. Believe in change. Fuel your Innovation. Join the Cat@lyst Revolution.